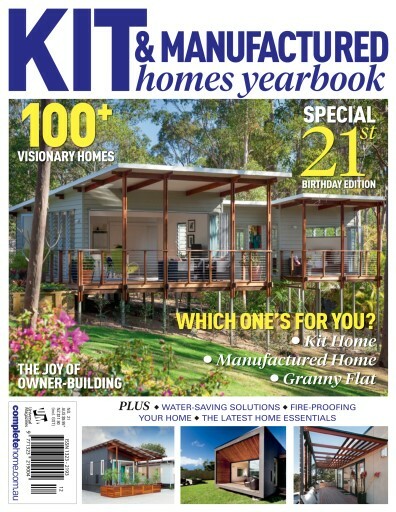 Welcome to the 21st birthday issue of Kit and Manufactured Homes Yearbook. To celebrate this 2015 issue, we have grown in size to showcase even more homes, offer more building advice and present more home products to give you the best information for your latest project. 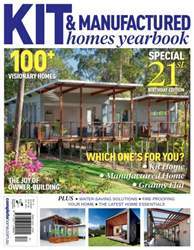 Kit and manufactured homes have quickly become the choice of many new homeowners so we have packed this issue full of visionary designs, real-life projects and innovative building tips. With so much choices now on offer, you're sure to find your new home within one of these pages.